Sno-King Amateur Hockey Association would like to welcome you to ice hockey and to the Sno-King community. 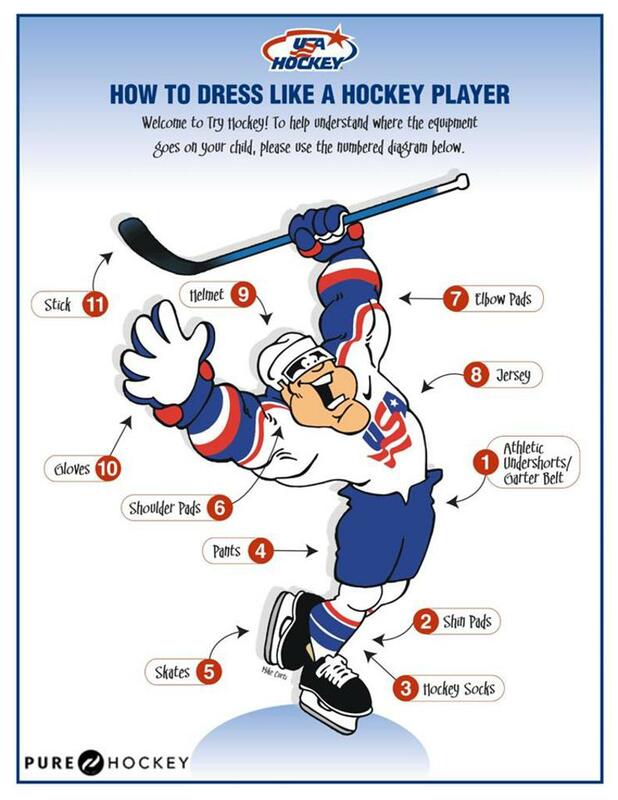 We’re certain your child will discover that ice hockey is a fun and enjoyable sport. Our mission is to Build Players for Life and we have a heart to grow the game and develop young hockey players. We think you’ll find most of the answers to your questions below, and also be sure to take time to read all the information on our website. If you have any further questions please feel free to call 425-821-7133 or email us. Sno-King offers several programs for beginners to experience and learn the basic fundamentals of skating and playing hockey. If your child wants to try playing hockey Try Hockey Free clinics are offered where equipment is provided and where participants can experience the thril of being on the ice. A child can learn to skate in our Hockey 1 program that teaches basic skating and preliminary hockey skills. In addition, the Learn to Skate program is taught by experienced figure skating instructors. The next stage of participation is in the Hockey 2 program which prepares a player for joining a competitive team. For more information on each program click the link below. For answers to Frequently Asked Questions continue reading below and be sure to take time to read the information within our website. If you have any further questions please feel free to call 425-821-7133 or email us. At what age can my child begin ice hockey at Sno-King? Typically, children are between five and eight years old when they enter the Learn To Play Program although some children as young as four years of age can learn how to skate in one of our programs. Hockey 1 - This portion of the Learn to Play program provides the opportunity to learn skating skills while incorporating some very basic fundamentals for playing hockey. Learn to Skate - This is a program that is taught by professional figure skating instructors and provides sound fundamental skating instruction for both beginners and those that want to improve their skating. Can we try it first? Periodically Sno-King offers a one-day TryHockeyFree program where a child can experience what it is like to be on the ice in hockey gear. Where can my player skate? What happens after Learn To Play? Depending on their age and ability, players can move on to a team. Recommendations will be made by your Hockey 1 & 2 instructors as to what is the next step for you. For additional information about all the programs available at Sno-King, including our Select and Recreation teams go to the Programs page. Sno-King has several Learn to Play programs throughout the year and players may join at any time with a pro-rated fee.The length of each program varies. How do I register my child to play at Sno-King? You can register by clicking the appropriate link: Hockey 1 or Hockey 2. Depending on the program some or all of the following gear may be needed. For children in the Learn to Play Program, some equipment can be rented from Sno-King. For more info on equipment click here. The SkateWorks Pro Shops located in the Renton and Kirkland Ice Arenas are a great in-store option. How can I as a parent get involved at Sno-King? Sno-King welcomes your participation in the organization. We feel that member participation is the best way to give your child a quality experience that builds players for life. Check out the Volunteer page to see just a few ways that you can get involved.